He hiked in one end of the turnaround tent and out the other without making eye contact with anyone. I hurried after him, ready to body block race officials with my large mom pack. Rick looked good. I handed him a tiny can of Coke. We had four hours to cover some 11 miles and climb and descend about 3,000 feet before the the next cutoff. We’d need to maintain a 20-minute pace. It was possible. He was hiking at a 14- and 15-minute pace now. And then the altitude got Rick. He slowed to Everest pace. (Kilian has ruined this analogy, but you know what I mean.) Still, he moved forward relentlessly. His effort was monumental. I will pull up the memory of it the next time I’m struggling in a race. We got up and over the pass, stopping only to put on headlamps and ask for more Coke at the Hopeless Aid Station. Rick had moved so well and so consistently that I was shocked when I checked the time and saw we had 40 minutes to make the cutoff. Twenty minutes later, we were still descending. I told Rick the time. He picked up his pace. We’d passed 15 runners on the ascent, and we flew past a handful of folks on the descent. It didn’t matter. I frowned and told him we weren’t going to make it. “I’m really sorry,” I said. I’m Rick’s coach, and I knew exactly how much effort he’d put into running this race. We both knew he could go another 40 miles. Maybe he’d finish in 33 hours. I turned over a litany of ultrarunning truths in my mind, wondering which one might not sound hackneyed 18 hours and innumerable tiny cans of Coke into a 100 miler. I smiled at the back of his head. No self-pity. No self-loathing. No catastrophizing. He’d given 100%, come up short, and immediately filed the experience under ‘not yet.’ He epitomized Carol Dweck’s growth mindset that Andy Jones-Wilkins wrote about in his Taproom column a few years ago. Check out that article for a wonderful summary of Dweck’s observations about the power of mindset. Dr. Dweck calls Rick’s way of thinking about his performance at Leadville a “growth mindset.” People with this mindset believe effort is necessary for mastery. They see difficulties and failures as stepping stones. They wholeheartedly embrace learning opportunities. 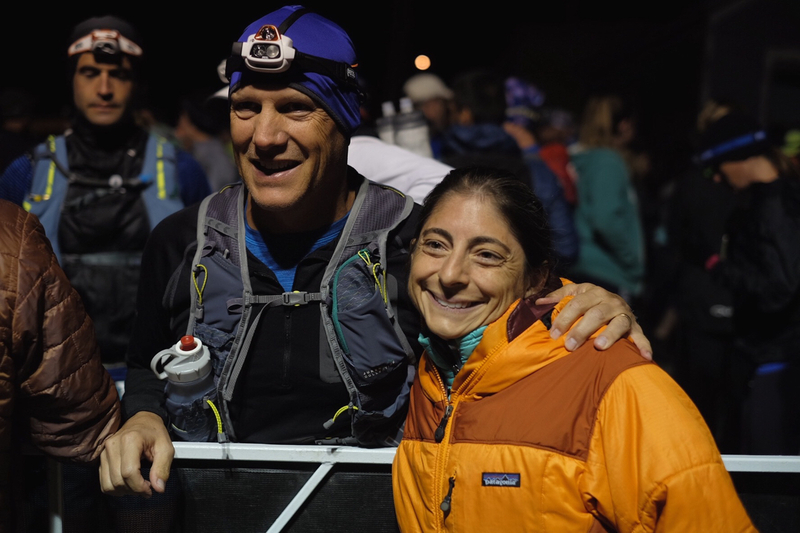 I had never seen a growth minder in action until I paced Rick at Leadville. To be honest, they sounded too good to be true. Embracing ‘learning opportunities.’ Right. You can see the power of a growth mindset versus a fixed mindset and the cascade of effects that each can have for a runner. 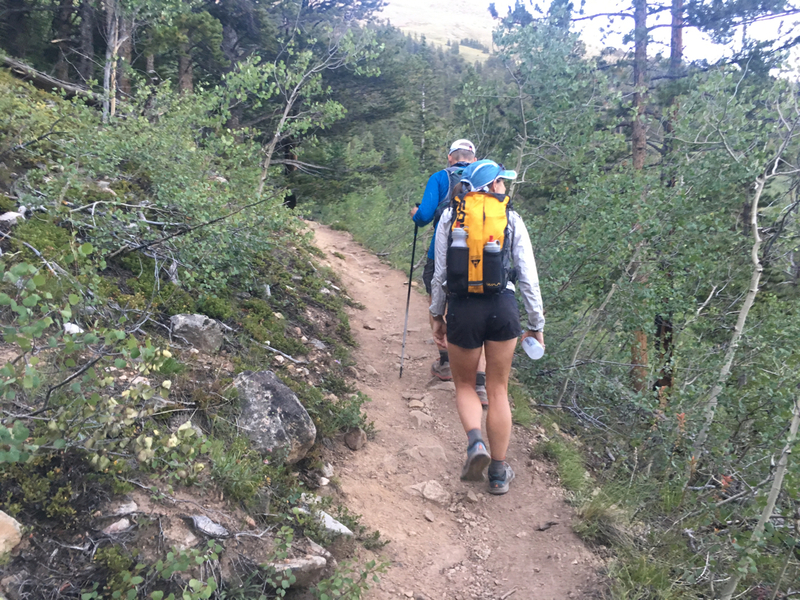 When I failed to meet my Leadville goal, my confidence was shaken for months. I worried about whether my results were a bellwether of races to come. The worry consumed me and made my training tedious. Each bad long run seemed like further evidence of my decline. Nothing was fun. I avoided racing. My training suffered. My husband suffered. And this was after placing second with a PR. Rick, on the other hand, has already made plans to come back to Leadville. We’ve talked about what we’ll add to his training. He’s excited to get running again. His family is excited for him. I have no doubt he’ll be walking around wearing a ridiculously large buckle this time next year. You struggle to keep up with friends or to run a certain pace. Fixed Mindset: I’m out of shape and I’m not a good runner right now. Growth Mindset: All runners have bad workouts from time to time. You DNF at your goal race. Be realistic about how your timeline and how much effort will be necessary. If you have young kids, or you work, or you’re in school, or you do all three and juggle a slew of other responsibilities and rarely get eight hours of sleep a night and can only run on roads at sea level, take all that into account when creating your plan for the year and when you think about the next three years. Write a race report. It’ll help you identify a fixed mindset and give you a place to practice celebrating learning. Seek out opportunities to learn through failure. Treat failures like a baby learning to walk does. Fall down. Get up. Fall down. Get up. Cry, laugh. Fall down. Get up. Again and again and again until you’re a little terror pulling down things from tabletops, I mean, until you’ve achieved your goal. Then set a new goal. How do you think you can move from a fixed mindset to a growth mindset in running? Are you a growth minder? If so, can you share your rainbow wisdom? Wonderfully said Liza. Hit home and touched a nerve. From zero training to MDS finisher in 2015. I strive to do a non-staged ultra. All the best to you and your family. Amazing writing! I am going to strive to be better at this mindset. I am not a successful mountain runner “yet”! Thanks, Liza. I think that having fun training and having fun racing should be right at the top of your list. I like your optimism that Rick will go sub-24 next year! I ended up with a DNF at my first Leadville dance, as I ended up at Everest pace on my first go up Hope Pass and missed the cut at Winfield. Once you’ve gone over Winfield twice you are almost finished. I only finished in around 28.5 hours the next year, but I think that sub-24 is feasible for just about anyone who enters. I have mixed feelings about the 30 hour cutoff at Leadville, especially as if it was upped to even 32 or 34 hours the finishing rate would be much higher. I have finished two 100 mile events by death marching into a 30+ hour finishing time, and I think that there is some mercy and motivation in the 30 hours time limit. But, sub-24 would be a lot more fun. Good luck to Rick on breaking 24. I hope to be there myself in the next couple years. I spoke to a man at the New Balance party in Leadville in 2015, and he was an amazing historian / statistician. I cannot recall his name, but I remember he was discussing the DNF rates and stated that of the people who DNF due to cut-offs, that majority DNF at Twin Lakes inbound. Likewise, as long as people can get through Twin Lakes inbound they have something like 98% chance of finishing. He even shared a theory that if the race were to move the Twin Lakes inbound cutoff by X number of minutes later, it would boost the finishing rate by . This story would be way better if I could remember things, but at the time it really hit home the importance of making it through Twin Lakes. It would be really interesting to crunch the numbers — and understand the rationale. As someone that has failed miserably at every distance from 160 miles to the marathon this piece really touched me. It’s also a great reminder of the things we can learn by pacing and crewing, because this attitude is one we all need more of. Bravo to you both. Hey Liza!!!! Nice piece. I had one of these moments at the Trans Atlas Marathon this year. Still trying to finish my story and photo essay for FitWild. I used my MDS strategy which did not work for me on the TAM course. I could have done much better. Also the design of the TAM and Challenge allowed me to keep running through the whole race and not have to drop out. Its an awesome design. I also learned I should not stop and take photos, run the race:) I was having so much fun chatting in Berber and French and forgot where the time went!!!! Hahaha. I am going back for another TAM in the future!!! But if you don’t take pictures, how do we live vicariously?? My family and I have spent a bunch of time in Colorado’s San Juans. Since the creation of the Hardrock 100 in 1992, these spectacular mountains are its home. Having trekked some of Hardrock’s trails even before the first race, I couldn’t resist it. So, in 1992, one year after a pretty good year at the WS 100 and a win at the Hilo to Waimea 100K, I entered the first Hardrock 100. I then DNF’d three times in a row. Was I daunted? Was my enthusiasm dampened? No… I absolutely love this environment and the people who work or run this event… I kept at it, though my wife was keeping track of the price per mile… and even though I lived at sea level. It took me four tries to get the all-time slowest finish in the counter-clockwise direction (47:59:35). I relished every try. I succeeded in my enjoyment of each and every mile. I vividly remember my only finish… folks drove out a few miles to see if I could do it. My family and lots of other people lined the the last mile. It was epic (and slow). The greatest of glory in the DFL. I’ve always liked the award given at the VT100 for the last finisher under the 30-hr cutoff — the lucky runner who got to enjoy the beautiful VT countryside for the longest!! 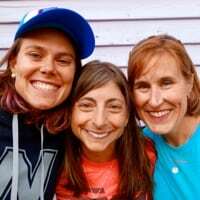 Great piece, Liza, with lots of good stuff from positive/cognitive psychology to help us re-frame runs, races, life, etc. After all, it’s all just a beautiful day out on the trails, right? The power of “yet”… I love that. thank you for this! Leadville lottery party at my house! Will my fingers crossed for you too! I often fall into a dark place where a race starts going South. To the point, I am convinced that not only am I going to drop, but I am going to try to get a refund on my next race (I almost always have a next race for which I am registered), and I may just give up on this running thing altogether. But often, mostly through a mix of stubbornness and self beratement, I can usually push myself to the finish. Thank you for this optimistic point of view. I’m a school teacher and growth mindset is a major part of how I try to influence students to think about their learning…I’d honestly never thought about applying it to my own running. Thanks for helping me make that connection (all the way down here in Australia). ive dnf western twice in a 11 year otherwise generally sucessful ultrarunning career. Great attitude on taking a few years (or 11 plus) to finish a race! Thanks for this article, it home for me to in just a slightly different way. I DNF’d the Leadville 100 MTB race a few weeks ago, missing the Twin Lakes inbound cutoff by a few minutes. I had significant gut issues at the top of Columbine Mine at 12,600 (high point and turn around for the MTB race). I knew descending with a small group, that we would not make the cut off. I began to beat myself up mentally about how I let my family down, my friends down and that I had no business being in the race. On my drive home to AZ, I began to see some of the positive attributes of the experience as I reflected on the race. I began listing what I learned and what went right and realized that it was still a good experience. I felt much better about myself and know I will be a better rider and trail runner because of that mindset. Great article! I have just finished the Leadville 50 yesterday and managed to snag a coin in the drawing for the 100. I live at sea level and I know how difficult this race was for me. I’m trying to figure out how I can manage to run the 100. I’ve never DNF’d a race before, and honestly I don’t know how I would handle the “not yet” scenario.